“That one machine runs 24-hours a day, seven days a week,” she said, adding that the hospital does around 15,000 MRI scans a year. MRI scans are in high demand across the country. 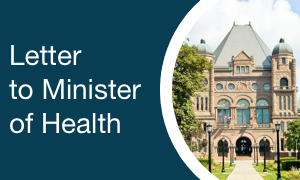 The Canadian Institute for Health Information estimates an average wait time of about three months for an MRI scan in Ontario. Across the country, wait times for the procedure have been steadily increasing since 2012. Mr. Garron, who made his fortune in car-parts manufacturing, said he had been impressed by how efficient the MRI centre at St. Joseph’s runs, and wanted to support their growth. He added his family’s donation is to emphasize the importance of community hospitals that are sometimes overlooked, and need new equipment to reflect technological advancements in medicine. The hospital will now call its MRI unit the Garron Family Centre of Excellence in MRI. The Our Lady of Mercy Wing, which includes the hospital’s birthing centre, will also be renamed to include the Garron family name.